Today I want to share with you a very exciting collection from QVC that is their TSV today. It’s the IT Cosmetics IT’s Your Bye Bye Collection! Five-Piece Collection*. There are four new items in here that I am super excited about and one favorite of mine. I’ll just jump right in! Bye Bye Under Eye Illumination Full Coverage Anti- Aging Concealer is a full-coverage, #1 best-selling concealer that is now infused with the look of light! I’m obsessed with the original and have it in all of its forms- waterproof, regular, etc. The formula for this is spot on. I have the shade Light and it matches me really well. I think it comes across as really brightening and can be easy to overdo if you’re not careful! I tend to pile on anything that is meant for under my eyes though, so maybe that part is just me. 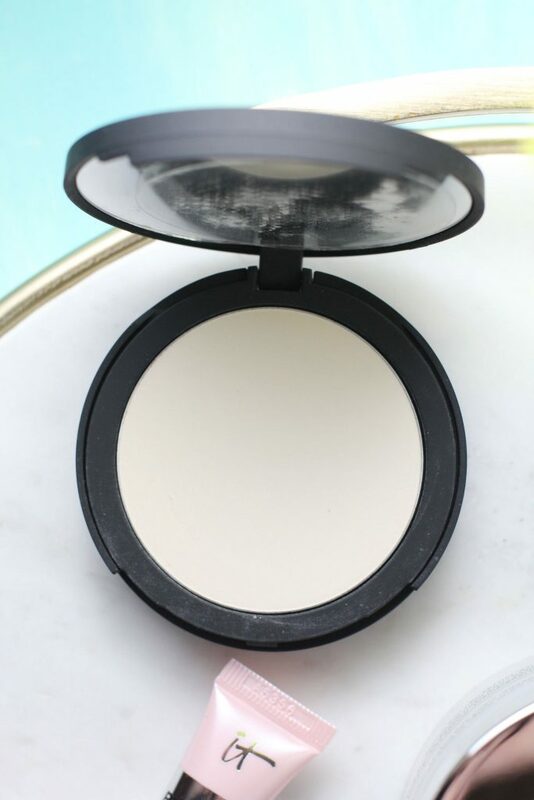 Bye Bye Pores Pressed Powder is a silky, translucent powder that helps blur the look of pores and fine lines. There are peptides, real silk, hydrolyzed collagen and other skin-loving ingredients at play with this formula. It’s a translucent powder and it’s my FAVORITE. I have almost burned through a whole pan of this since the last TSV that had one. I use this to set absolutely everything. 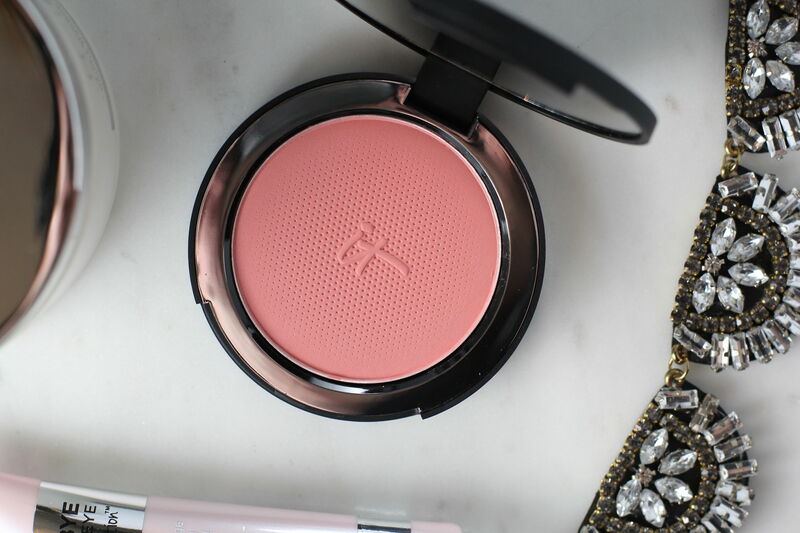 Bye Bye Pores Airbrush Brightening Blush is a gorgeous but sheer, buildable, silk-infused blush that gives you a naturally pretty flush of color that lasts. I love a naturally looking blush and I’m rarely trying to go out of the box with my blush color. 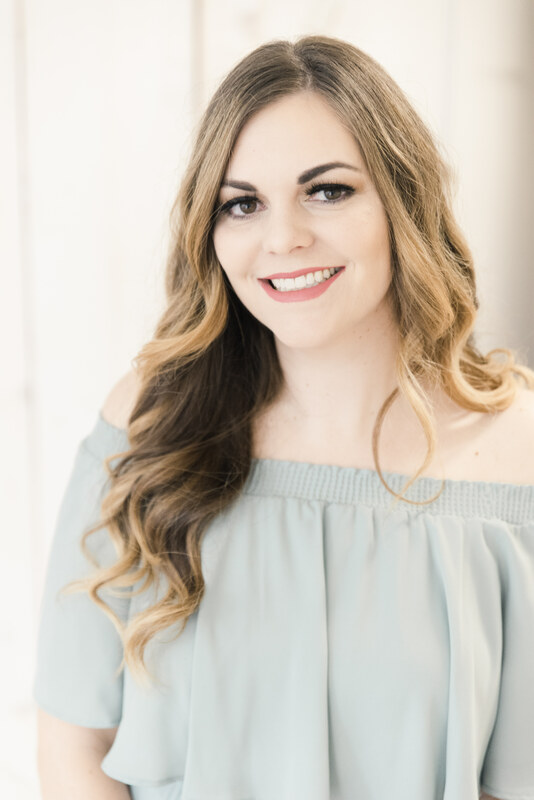 I like to keep it simple and naturally pretty, so what better product than a blush that is actually called “Naturally Pretty.” This is going to be a major staple in my makeup bag. We are traveling on Easter and I already plan to bring it with me. Heavenly Skin Bye Bye Pores Powder Brush is a new custom-cut with a super plush, dome-shaped head, revolutionary brush with skin-loving fibers. This thing is BOMB. I love it so much and I’ve only used it a few times. I am absolutely in love with this brush from It that comes with almost every set, I probably have five of them. But the new powder brush trumps them all. I wasn’t even sure it was a brush at first because the dome was so perfect I thought it might have been a silky sponge or something when I first touched it. It applies powder like a dream, and I also used it to apply my brush. I am going to need to get a couple more of these! 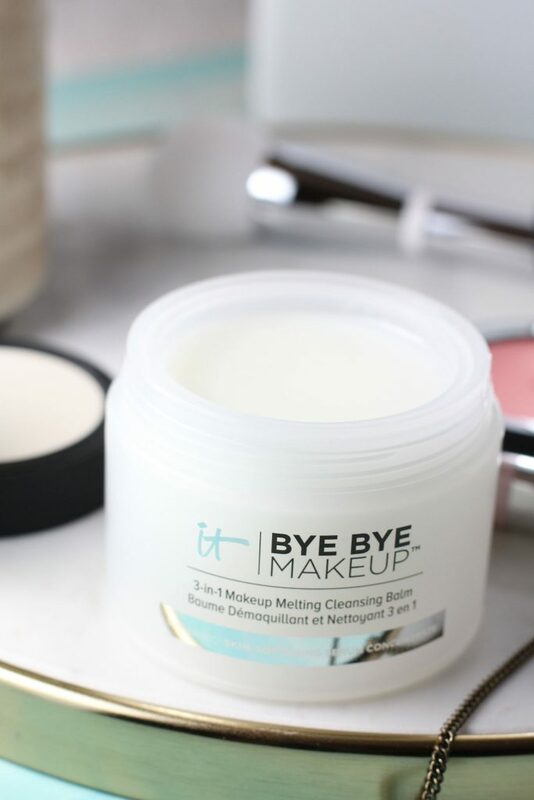 Bye Bye Makeup 3-in-1 Makeup Melting Cleansing Balm is a hydrating cleanser, makeup remover and anti-aging, skin-softening serum all in one step. Holy WOW this stuff is amazing. I just used up my PurErb cleansing oil so I was game to try something new. As I was taking pictures of makeup today and playing with a bunch of stuff I used this to remove the colors a few times and it melted right off with barely a dab of the stuff. This is absolutely magical and I think the tub will last forever because you barely need a dab. And it leaves my skin feeling like I’ve already put on serum and moisturizer too even though I’m not even there yet- I’ve only just washed my face but it is so soft! I’m SO HAPPY It Cosmetics has ventured into skincare. They are nailing it. Did you read my review of their Confidence in a Cream (read review) from the other day? LOVE. 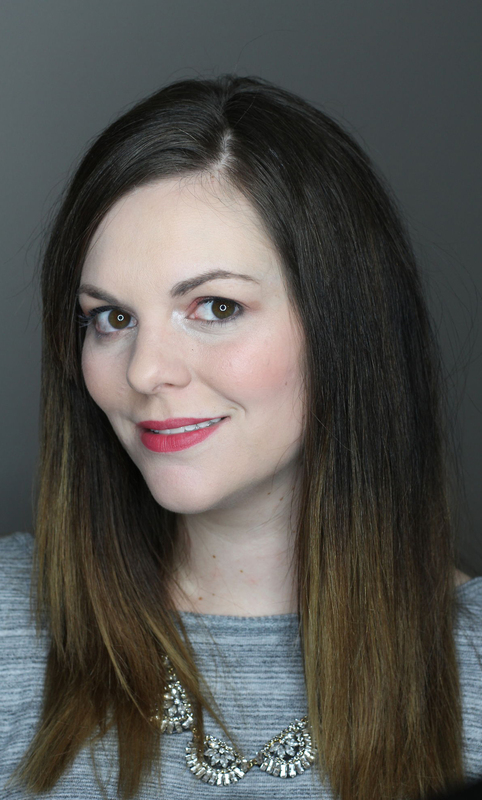 I am wearing the Bye Bye Under Eye Illumination Full Coverage Anti- Aging Concealer and the Bye Bye Pores Airbrush Brightening Blush in Naturally Pretty here. I really love them! This is one of my favorite QVC sets yet from It Cosmetics. This set retails for $72.50 and is down to $59.96 as QVC’s Today’s Special Value for the next 24 hours. Are you going to pick it up? Tell me what your favorite item is! *Items sent for review. Opinions are my own. 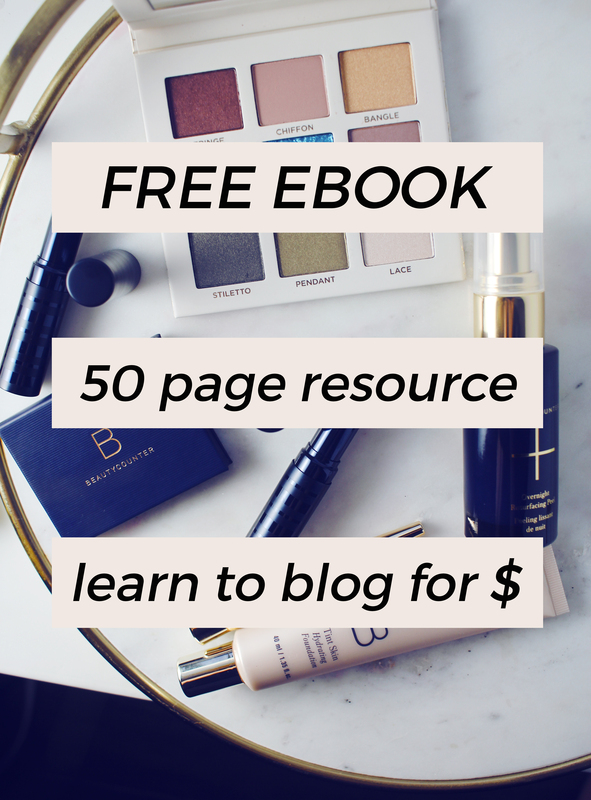 Affiliate links in use. Ok I definitely want to try the Bye Bye Makeup balm. anything that can take off my makeup without too much rubbing is a winner in my book. The blush is so pretty on you! The makeup cleansing balm is pretty cool. You look absolutely beautiful here! I was watching this on QVC last night and caved. I really want that brush and the concealer. Plus the powder I was using broke when I dropped it so I figured I could justify getting a new one! I’m really excited to get this! 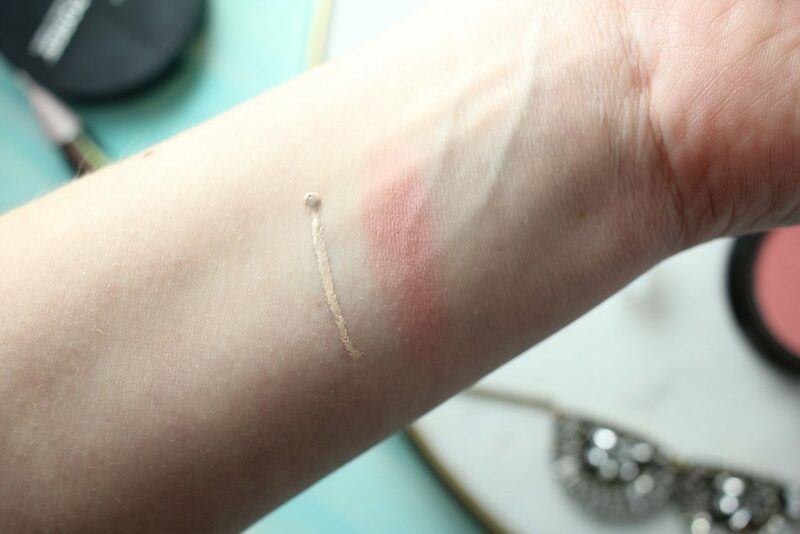 I love the look of the blush! I’ve been using this set and am obsessed with the Bye Bye makeup. 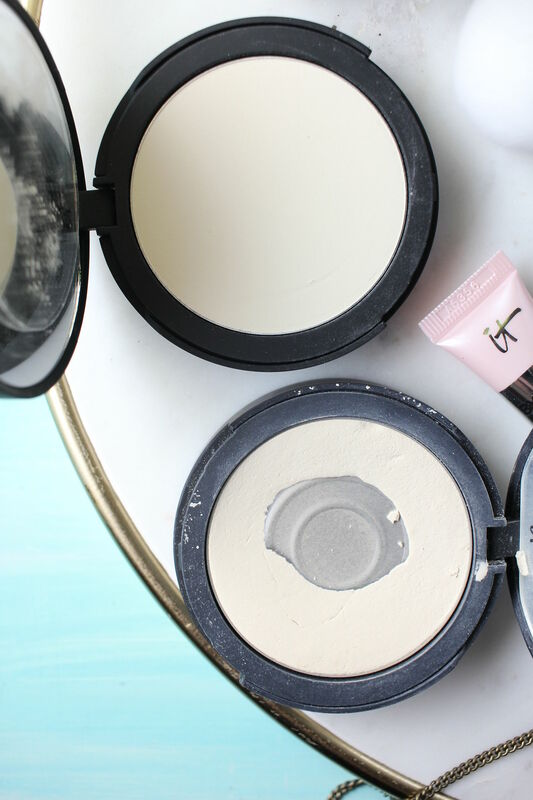 How do you like to use the powder – before or after foundation? I’d love to try the Bye Bye powder! That blush and that brush are the top 2 I’d want to try! I had to order this. I can’t wait to try the brush! That blush, though – Girl, it is perfection on you. This is the best kit I’ve gotten from IT. 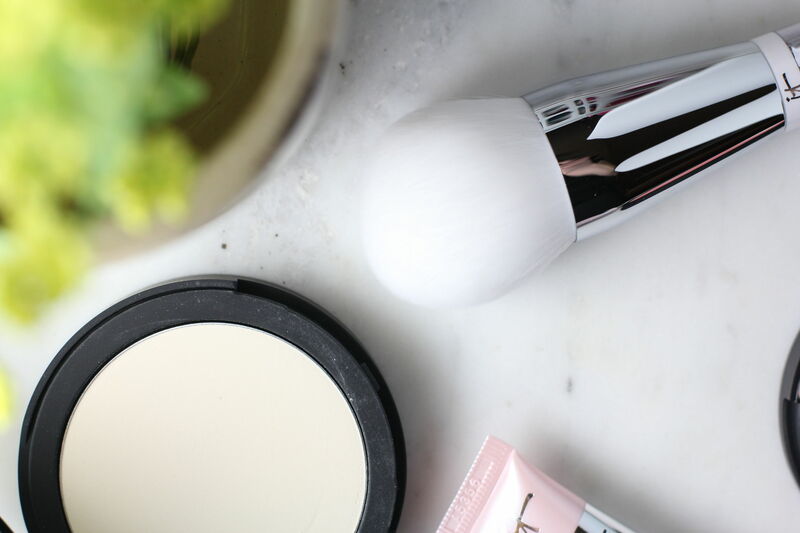 That brush is to die for, the blush is a perfect color for me, and I love the makeup balm remover. Why didn’t I buy this? I’m kicking myself, now. I’m somewhat new to using makeup (albeit I am 53! ),and I ordered this set. I used the It powder with the brush, and I felt like I was blending my foundation, blush and the setting powder with this brush due to its ultra soft cotton like texture. I almost felt I was doing something wrong, or should have put the It powder on first! I’m used to putting setting powder on with a large fluffy brush! Just after one use, the brush is full of makeup (and I don’t use a lot at all, the brush just clung to my skin). Am I doing something wrong? Please help! 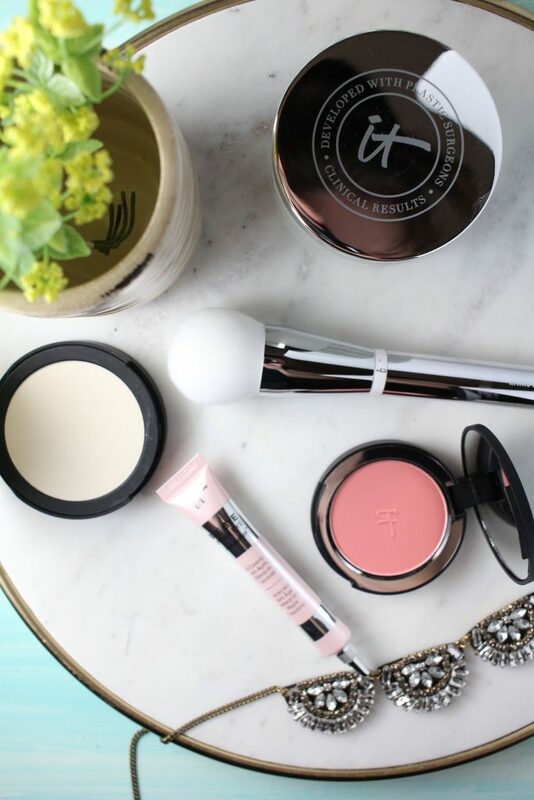 We are want to love this powder and brush! I haven’t tried the other products in the box yet. Meant to say “I want to love this powder and brush”. Darn autocorrect!